Hillocksâ edict came as he addressed an appreciation ceremony at Frenches House recently, for the athletes who used their talents to see St Vincent and the Grenadines to fourth place in the Caribbean Union of Teachers (CUT) Games in Trinidad and Tobago. Hillocks reiterated that there is a myriad of lucrative career opportunities that can be achieved by getting involved in sports. 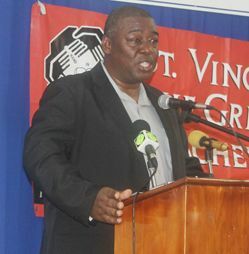 The sports director, in addition, challenged the athletes to give the various agencies reason to find the financial means to send a contingent to the next CUT Games, set for Tortola in the British Virgin Islands in 2016.